While the Imperial Court of New York is entirely volunteer, we can’t do it alone. 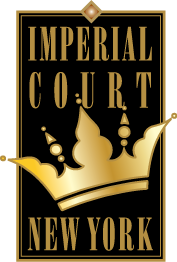 We need the help of corporate and individual sponsors to compound the effect of our efforts – The Imperial Court of New York needs the support of organizations such as yours that shares our dedication to these charitable organizations as well as a having fun while raising funds for them. Together we can make a difference! How can you take advantage of this unique opportunity to work with us and further your mission and our mission? However you choose to work with us, we will ensure that this collaboration compliments your existing corporate values, enhances your image, and provides a platform to increase the positive community perception and credibility of your organization.